I got into Scottish fiddle through a misunderstanding that arose out of my interest in Scottish punk and alternative bands. It was a happy misunderstanding that got me into Scottish Country Dancing by the age of 15, into teaching Scottish Country Dancing by the age of 21, and getting my preliminary certificate to teach at St. Andrews, Scotland at the Summer School of the Royal Scottish Country Dance Society in 1993. I have been playing for dance, performance, theater, and for fun since around 1991. 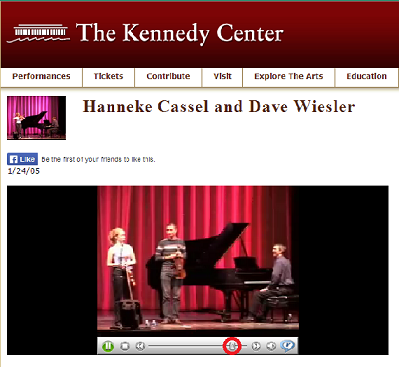 On January 24, 2005, I made brief appearance at the Kennedy Center Millennium Stage with violinist Hanneke Cassel and pianist Dave Wiesler, when they performed traditional and modern music for Scottish Country Dance shortly after the release of their CD Many Happy Returns. The whole concert is worth watching, but you can find the part with me in it near the end, starting near where the navbar is circled in red on the image. The appearance with Hanneke and Dave was actually my second time on the Millennium Stage. 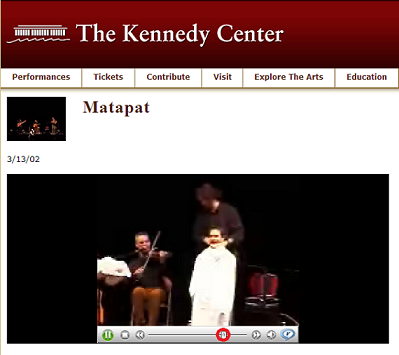 My first time was March 13, 2002, when I got a shave during the musically infectious performance of Matapat, starting near where the navbar is circled in red on the image. I competed and placed in regional Scottish fiddle performance and composition competitions, and I qualified to compete at the US National Scottish Fiddling Championships in 1997. In 1998, I performed my own score for the American premier of Scottish playwright David Harrower's "Knives in Hens," the Pittsburgh Post Gazette's 1998 "Play of the Year." I love to play, both solo and with other musicians (see Bands). 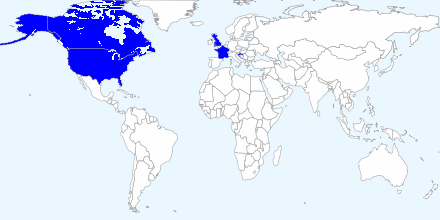 Please follow the links to lists of past gigs in 2000, 2001, 2002, 2003, 2004, 2005, 2006, 2007, 2008, 2009, 2010, 2011, 2012, 2013, 2014, 2015, 2016, and 2017. Please contact me at drop_a_line@davidknight.us or at +1.202.531.3250 if you would like to book me or one of my bands.